As we anticipate the next provincial and federal elections, it’s time for citizens to raise their voice and dedicate their energies not just to platform planks, but to actually improving the political climate in their own communities and across Canada. There is at least one non-partisan, non-profit organization seeking constructive change. Samara is dedicated to improving the health of Canadian democracy, and has done extensive research in recent years, including the publication of the book Tragedy in the Commons, by the co-founders Alison Loat and Michael MacMillan. Each has been awarded Silver and Diamond Jubilee medals for service to Canada. More than 80 former MP’s from every party were interviewed for the book, including former Sarnia-Lambton MP Roger Gallaway, a prime minister, four party leaders and 24 cabinet ministers. They discovered the same things that disturb voters disturb our elected representatives. The writers detail the concerns explicitly, consider the causes, and recommend practical changes needed for all dimensions of the political equation: party structure, leadership power, media focus, parliamentary conduct, and citizen cynicism. The writers have strong recommendations that let no one, including voters, off the hook. The task of improving democracy is monumental but not impossible, and it won’t get easier the longer we wait. I would strongly encourage citizens to join any political party of their choosing and to be part of the search process for candidates. Come face-to-face with candidates and ask them what three priorities they have for a healthier democracy. And take your kids to vote, because learning by experience will greatly improve the chances of their eventual healthy participation. Make a difference this time around and demand civility in conduct and commitment to democracy from the beginning of every campaign, and after it. We have perhaps complained too much, while doing too little, for far too long. We must awaken to the subtle reality that democracy does not disappear overnight; it dissipates over time when individual citizens cease to be vigilant and active. 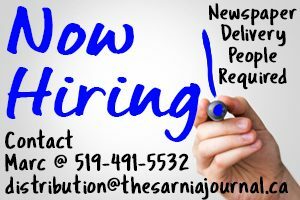 – Bob Sutton is a retired educator, Samara volunteer and life-long Sarnia-Lambton resident.